Below you can view all the homes for sale in the Shadows subdivision located in North Las Vegas Nevada. 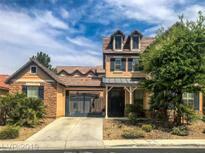 Listings in Shadows are updated daily from data we receive from the Las Vegas multiple listing service. To learn more about any of these homes or to receive custom notifications when a new property is listed for sale in Shadows, give us a call at 702-323-5963. Move In Ready!casita W/Separate Entry&full Bath*a Chef's Dream Kitchen W/Tons Of workspace&cabinets,Double Ovens,Granite,Lrg Walkin Pantry*fireplace Between Family Rm&kitchen creates A Great Ambiance*floorplan Ideal For Entertaining/Office Separate from Other Rms*huge Master W/Lrg Wic*lrge Driveway For Plenty Of Parking*lrg Backyard To Use Your imagination To Design Your Own Paradise*relax In The Shade Under The Covered Patio*beautiful Views MLS#2089824. BHHS Nevada Properties. Courtyard. Refrigerator, Washer and Dryer INCLUDED. MLS#2088837. Choice One Properties & Manage. Ceiling Fans through out. Lot has RV Parking. MLS#2085731. Rock Realty Group. Gourmet kitchen w/breakfast bar, granite counters, french doors leading to low maintenance landscaped backyard with above ground pool. Loft upstairs. A must see! MLS#2083695. Simply Vegas. This home is part of the Sundance at the Shadows Homeowners Association. MLS#2080305. Opendoor Brokerage LLC. Three tone custom paint job on the interior. Desert landscaping for easy maintenance. MLS#2080173. Realty Executives of SNV. If you're looking for your new forever home, this is it! MLS#2078874. Southern Nevada Realty Group. This home is part of the Sundance at the Shadows Homeowners Association. MLS#2077674. Opendoor Brokerage LLC. Most of the furnishings are for sale. MLS#2077581. RE/MAX Excellence. Look no further! Your dream house is here! MLS#2076835. Crossover Realty. Currently tenant-occupied. Tenant's lease expires 8/31/2019. MLS#2074654. ADG Realty. Home Has Interior Courtyard And Is Oversized Lot. Covered Patio. Gated Community MLS#2069207. Allure Realty Group LLC. You Will Want To Call This Place Home! !lease Buyout-30 Day Move-in MLS#1981315. Turn Key Property Solutions.